Inspection report will be filled out for each location during pumping. Inspection reports will be left with each store location as well as mailed with the invoice. A manifest form will be sent to the cities that require manifest forms. A copy will be sent to you for your records as well. In the event that we find any problems with the grease trap, we will photograph them so that the responsible parties may view the damage. In order to perform repairs to a grease, it must first have to be pumped. The grease trap will most likely have to be entered by SMC Grease personnel in order to perform the repair of any piping. SMC Grease personnel will photograph the damage before the repairs and again afterwards. Estimates are always given prior to any work that is done. In the event that we find more damage while doing the repairs we contact the responsible party and get an approval for any additional repairs. 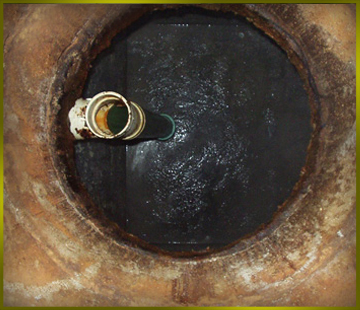 SMC Grease Specialist can install or replace 50 gallon to 10,000 gallon grease traps. Please contact us for more details.